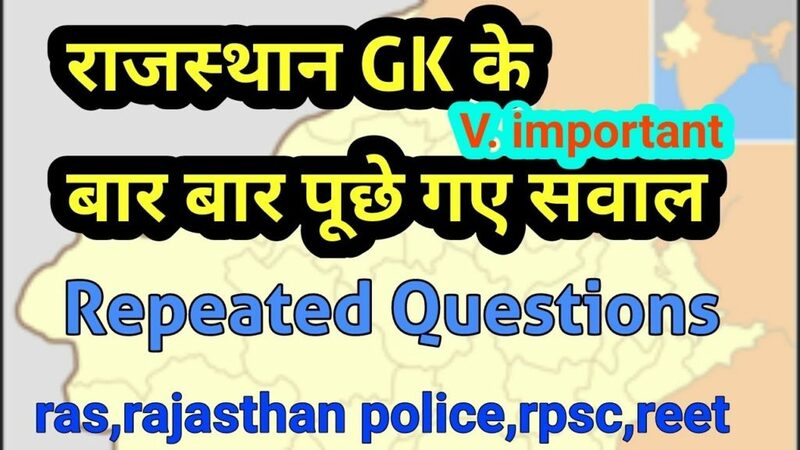 General knowledge questions Date Wise 04-01-2018 GK question With the answer, GK for like Rajasthan police New Exam Date 2017. And Rajasthan police exam Admit Card And Syllabus 2017and SSC MTS SSC CGL SCC CPO SI Gram sewak, GK Quiz in hindi, And Rajasthan GK for all competition exams, Railway GK Police, CRPF GK, GK for Public service commission, Govt Jobs GK, GK for IAS RAS IPS, India GK, Science GK, Social Science GK, History GK, Chemistry GK, Maths GK, Reasoning GK, GK for competitive exams, computer GK, current affairs, current GK, world GK, Geography GK, RRB GK, RPSC GK,And All subject Wise Notes and Math, Hindi, English, History, Political Science, Psychology, Sanskrit Related Study material. Question (1) In which field do not Loam soil? दोमट मृदा किस क्षेत्र में नहीं मिलती है? Question (2) Which crop is generally obtained from mixed red and black soil? मिश्रित लाल और काली मृदा से सामान्यतया कौन-सी फसल प्राप्त की जाती है? Question (3) Which element is rich in brown sandy soils? भूरी रेतीली मृदा में किस तत्व की अधिकता होती है? Question (4) Who is the most fertile in the soil found in Rajasthan? राजस्थान में पायी जाने वाली मिट्टियों में कौन सर्वाधिक उपजाऊ है? Question (5) Which region is the highest among the soils found in Rajasthan? राजस्थान में पायी जाने वाली मिट्टियों में किसका क्षेत्र सर्वाधिक है? Question (6) Which the state of Rajasthan meets the soil of the Anticol group? राजस्थान के किस प्रदेश में एन्टिसोल समूह की मृदा मिलती है? Question (7) Which is there a proliferation area of brown soil in Rajasthan? राजस्थान में भूरी मृदा का प्रसार क्षेत्र है? Question (8) What is the name of the dead river in Rajasthan? राजस्थान में मृत नदी का नाम क्या है? Question (9) Which is the longest river in Rajasthan, which flows entirely in Rajasthan state? राजस्थान की सबसे लम्बी नदी कौन-सी है, जो पूर्णतः राजस्थान राज्य में बहती है? Question (10) Which river was constructed on the Meja Bandh? मेजा बांध का निर्माण किस नदी पर हुआ है?